My all friends today i am going to share with you the most awaited device lenovo z5. Which is beautiful and budget smart phone with Nothch display and full view screen design. The smartphone was with an all-display design 18.7:9 Expect Ratio.It has iPhone X-like notch on top.The phone will killer of other many devices. 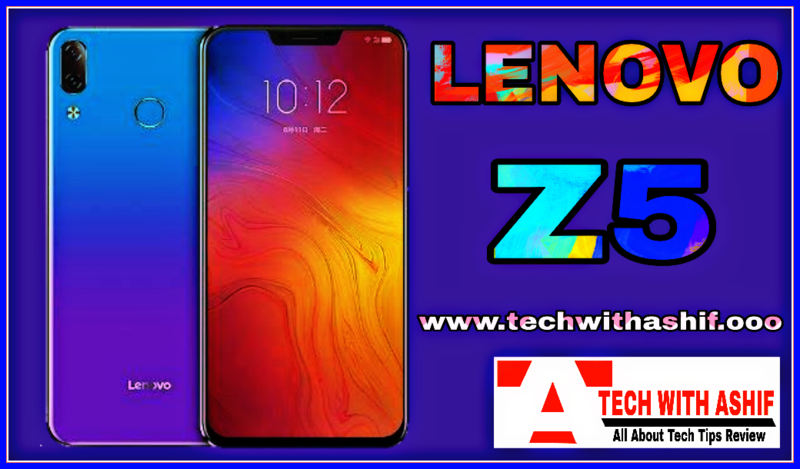 Lenovo Z5 smartphone was launched in June 2018. The phone comes with a 6.20-inch touchscreen display with a resolution of 1080 pixels by 2246 pixels, 2.5 D curved glass 18.7:9 around 19:9 expect ratio, bezel less design . The Lenovo Z5 is powered by octa-core processor and comes with 6GB of RAM. The smartphone packs 64GB of internal storage that can be expanded up to 256GB by a micro SD card. In cameras are concerned, the Lenovo Z5 smartphone packs a 16-megapixel primary camera on the rear and a 8-megapixel front shooter for selfies. The Lenovo Z5 smartphones runs Android 8.1 and is powered by a 3300mAh. It measures 153.00 x 75.65 x 7.85 (height x width x thickness) and weighs 165.00 grams. The Lenovo Z5 smartphones is a dual SIM (GSM and GSM) smartphone that accepts Nano-SIM and Nano-SIM. Smartphone Connectivities options include GPS, WIFI, Bluetooth, 3G and 4G (with support for Band 40 used by some LTE networks in India). Sensors on the phone include Compass/ Magnetometer, Proximity sensor, Accelerometer, Ambient light sensor and Gyroscope. Lenovo Z5 smartphone price in China has been set at CNY 1,399 (roughly Rs. 14,700) for the 6GB RAM/ 64GB storage variant and CNY 1,799 [Roughly Rs. 18,900] for the 6GB RAM/ 128GB inbuilt storages. 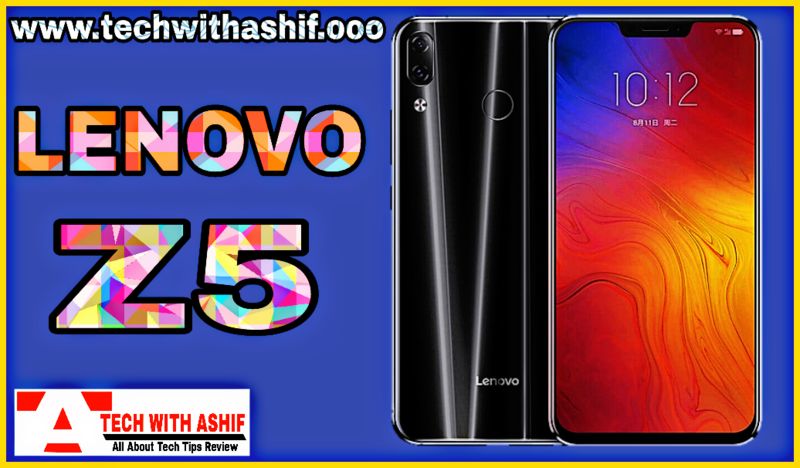 I hope you enjoyed my reviews and specification of lenovo z5 which i posted in this website. Keep supporting me guys. I thankful to my visitors who read my post and give his impotent time for me.